The Left-wing Students Federation of India has given a shutdown call in Kolkata on Thursday in protest against the death of student leader Sudipta Gupta. The students will be carrying out protests close to West Bengal Chief Minister Mamata Banerjee's residence to vent their ire over the incident, which led to Sudipt'as death. A shutdown has also been called in Kolkata''s Garia and Tollygunge areas. The student organistaion has also called for a shutdown in West Bengal''s Siliguri town. The SFI leader was cremated on Wednesday as thousands in Kolkata poured out on the streets to expressed their anger. An autopsy report released said that Sudipta had a broken jaw and fractures on his head, as well as injury marks all over his body and that all the injuries were sustained before his death. The West Bengal Human Rights Commission has ordered a probe into Sudipta's death. 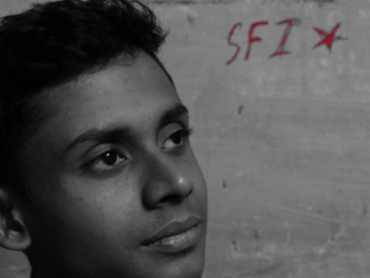 The 23-year-old SFI leader's family has demanded justice and a through probe into the incident that led to his death. "I have been saying this repeatedly that I want justice. We want to know why he was attacked so brutally. We want a probe into it. We don't know when it would happen, but we want a probe even if it be from the CBI," Sudipta's sister Sumita Sen Gupta told mediapersons on Wednesday. Communist Party of India-Marxist leader Sitaram Yechury has also demanded a judicial inquiry into the SFI leader's death, and strong action against those responsible. "This is completely reprehensible. I mean we cannot accept this kind of an attitude by the police in any state. It (police) picks up the students, arrests them, takes them in the buses and in the process it virtually murders a student leader. Now, under police custody such a death is something that cannot be accepted and the police version is completely incredulous," said Yechury. "So, therefore, we think there must be a judicial inquiry into this and strong action has to be taken against those responsible. And the state government should accept its responsibility," he added. Mamata Banerjee, who visited Kolkata''s SSKM Hospital on Wednesday where the SFI leader breathed his last, described the incident as unfortunate and assured all help to his family. "The death of the student leader is very unfortunate. I will do everything to help," she said.